Dogs and cats arent supposed to be friends. Dogs chase and bark at cats. But this dog and cat know real friendship when they feel it, and nothing will keep them apart! 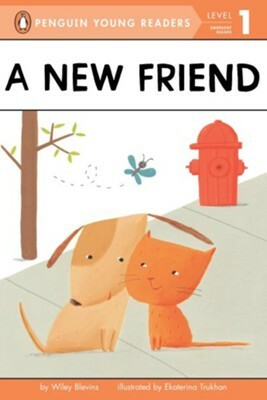 This simple Level 1 reader will give young children a sweet introduction to both reading and friendship. I'm the author/artist and I want to review A New Friend.